Everybody needs a Wingman! 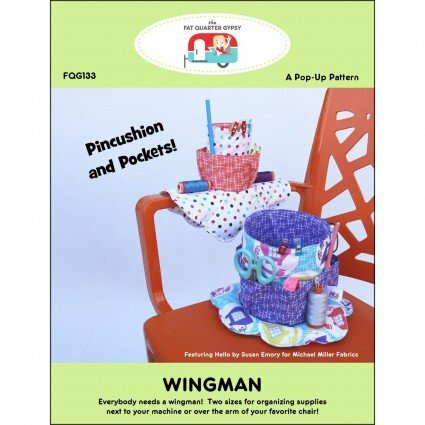 Two sizes for organizing supplies next to your machine or over the arm of your favorite chair! Uses Spool Loops by The Fat Quarter Gypsy. Springs sold separately. Pattern, loops, and springs by The Fat Quarter Gypsy.